The Australian Government role in the most problematic PNG general election since independence lacks transparency and raises questions regarding probity and fair play, the Leader of the National Alliance Party, Mr Patrick Pruaitch, said today. Mr Pruaitch said the Australian Government was directly involved in assisting to update the Common Roll and many millions has been spent on the exercise. “The 2017 Common Roll distributed to all 111 electoral seats has been found to be deficient in so many ways. Numerous names on the 2012 roll are left out. In many areas,roll numbers have been padded.” he said. Mr Pruaitch said defects in the Common Roll appear unfathomable unless there were some forms of collusion between the Australian and PNG Governments. “Why has this job been botched up so badly,” he asked. The PNG and Australian Governments need to come clean and disclose the nature of the work involved in upgrading the Common Roll and an explanation is needed on why the latest Common Roll is deficient when compared with the 2012 Roll. 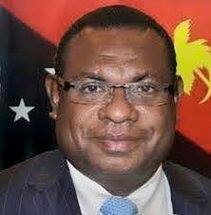 The PNG public has a right to know if secret deals were made between PNG Prime Minister Peter O’Neill and his Australian counterpart, Mr Malcolm Turnbull, as well as between PNG Foreign Minister Rimbink Pato and Australia’s Ms Julie Bishop when they met a few weeks ago. Mr Pruaitch said that in order to cope with shortcomings of the Common Roll,the Electoral Commissioner, Mr Patilius Gamato, has instructed the use wherever necessary of the 2012 Common Roll. However, we have a situation in East Sepik (and other parts of Momase) where the Returning Officers are refusing to comply with Mr Gamato’s orders because there are not enough ballot papers to cope with the 2012 Common Roll. Large numbers of people who voted before will be unable to exercise their democratic right. In fact, it has now become clear that virtually all Returning Officers do not have a copy of the 2012 Common Roll, a case where the bosses are ignorant of the situation on the ground. “A few days ago University of Technology students in Lae chose to burn the 1150 ballot papers delivered when there are nearly 5,000eligible to vote.Where have the missing ballots gone? “One can only assume this is a result of gross manipulation of the election process by the O’Neill-Dion Government,” Mr Pruaitch said. The Australian Government is also answerable for the ongoing fiasco regarding delivery of ballot papers to various electorates. Mr Pruaitch said: “While we are grateful for this assistance to deal with massive logistical issues in delivering ballot papers, surely the Australian Defence Force engagement, coming on top of the Australian Government assistance with the Common Roll, should be a straight forward exercise. “Instead we have many reports of illegal ballot papers delivered to the wrong electorates, constituting fraud on a grand scale. Concerned members of the public have taking to burning these ballot papers. “Where does the fault lie? Who is to blame for this incompetence or is there a conspiracy at work?” Mr Pruaitch asked.